We’ve already covered how to hand wash your bras, but let’s be honest, most of you probably don’t want to do that. It’s much more convenient to be able to throw your bras in the washing machine with the rest of your clothes. So while we still recommend hand washing your bras, here is the the safest (though not fool proof) way to go about machine washing lingerie. 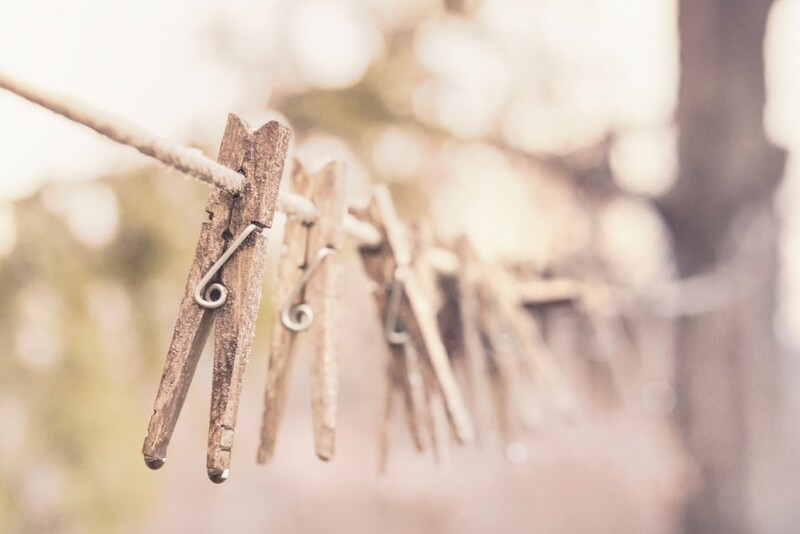 Putting bras willy-nilly into a washing machine without protection can cause problems for your bras and other clothes. Bra straps easily get tangled and stretched, while the eyelets can cause snags and hook onto your other clothes. 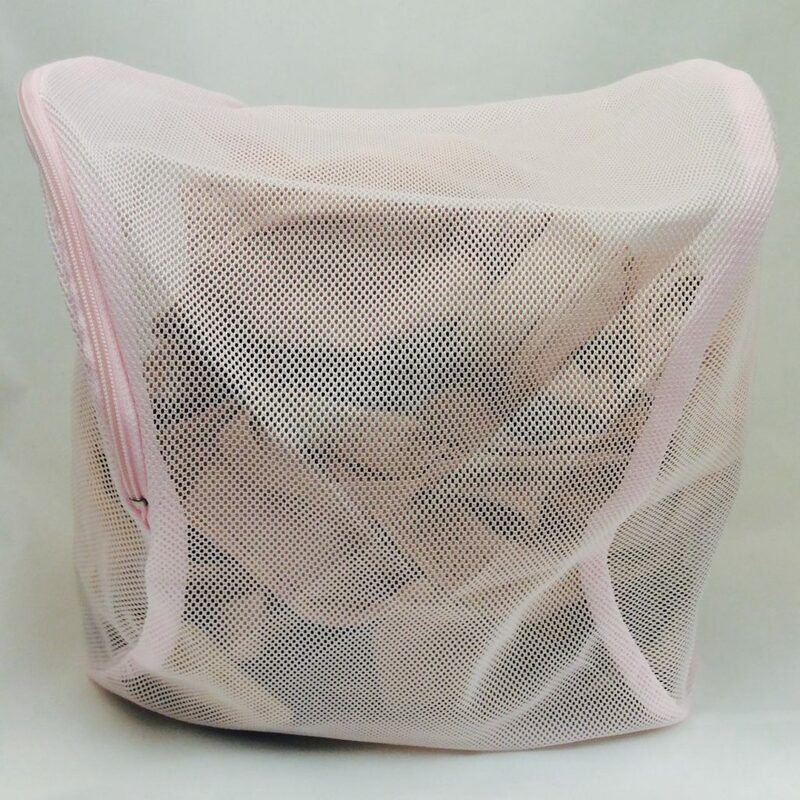 A bra bag like this one will help prevent these tangles and snags and generally help protect your delicate bras from getting too battered in the wash.
You can use your normal laundry detergent on lingerie, but to get the most wear out of a new bra you might want to purchase a specialty delicate wash. I personally use Eucalan for this and have been pleased with the results. If you’re looking for other options, this article from YouBeauty lists several other bra washing detergents at similar price points. Pick your poison and move on to the next step. 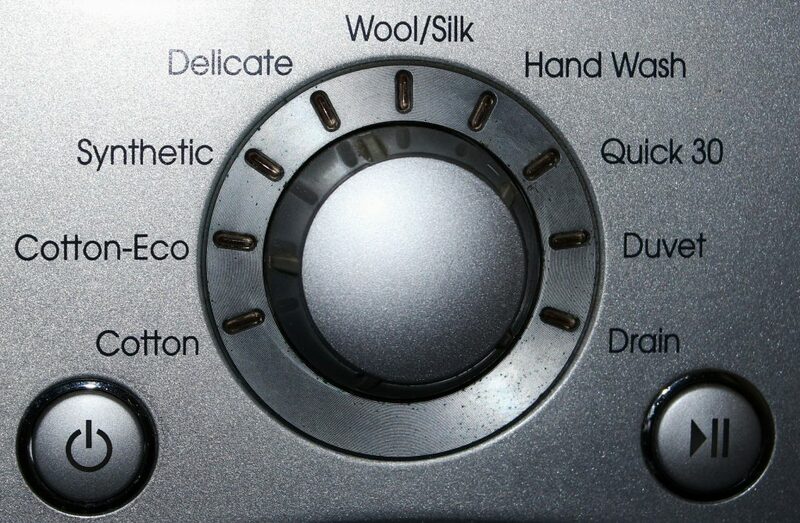 This might be obvious but I would be remiss not to cover this: choose the most gentle wash cycle available to you for machine washing lingerie. 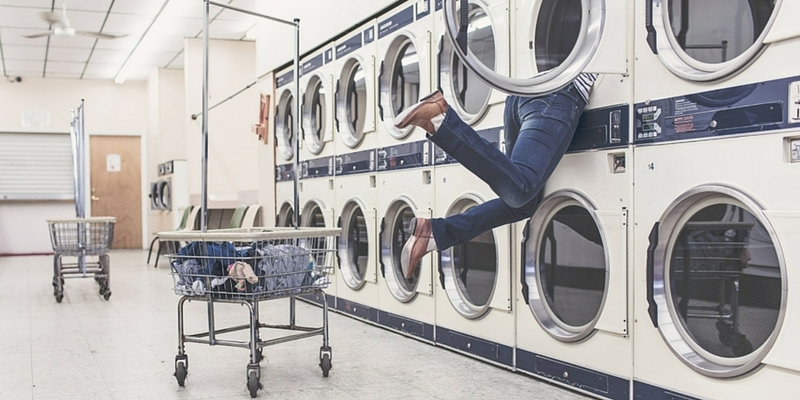 Most washing machines have a “delicate” or “hand wash” option, this is what you want to pick. Which brings us to the next step…. Here’s another no-brainer. 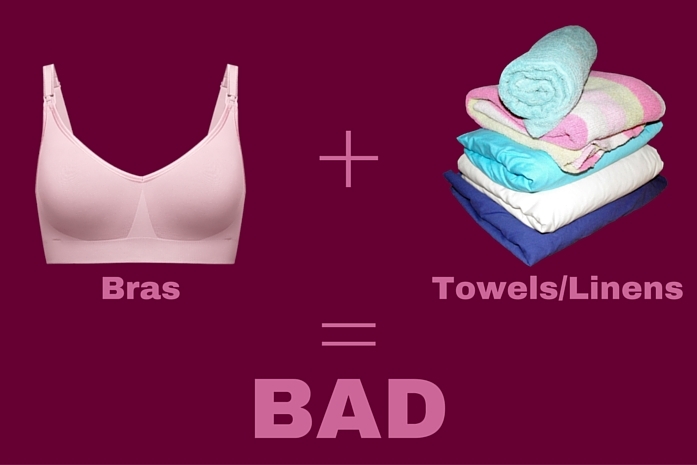 Don’t put your bras in a load full of heavy items like towels and jeans. You’ve got a mesh bra bag to protect your lingerie, but that’s only going to help so much if you’re not washing your bras with like items. Instead, if you’re going to be doing a load on the “delicate” or “hand wash” setting, make sure that the entire load is full of delicates. You should never ever ever dry your bras in a machine dryer. Never ever. Just don’t do it. Instead, the best way to dry bras is to either hang them by the gore (that middle part of the bra that connects the cups) or lay them flat. If you try hanging a bra by the straps you’re facing the possibility of stretching those out, which you have just gone to some length to avoid.